While there's no crystal ball to tell us exactly what's in store for 2018, there are some things already penciled in on the calendar. If you're ready to bid 2017 adieu, here's a peek into Long Island's future: from new laws and elected officials to groundbreakings and events. Among other new laws, Suffolk County shoppers will pay a 5-cent fee for plastic or paper bags at checkout. New Yorkers will start the year with a rise in the minimum wage and a paid family leave option. The Democrat has a long to-do list based on campaign promises, including implementing a wide-ranging ethics reform agenda and negotiating new deals with county public employee unions after their labor contracts expire. Laura Gillen takes office in Hempstead: Jan. 1. She is the town's first Democratic supervisor in a century. The next phase of Amtrak’s efforts to renew Penn Station’s aging track infrastructure will disrupt the commutes of some Long Island Rail Road customers for five months beginning in January. The work will require keeping one of Penn’s 21 tracks out of service from Jan. 5 until May 28. 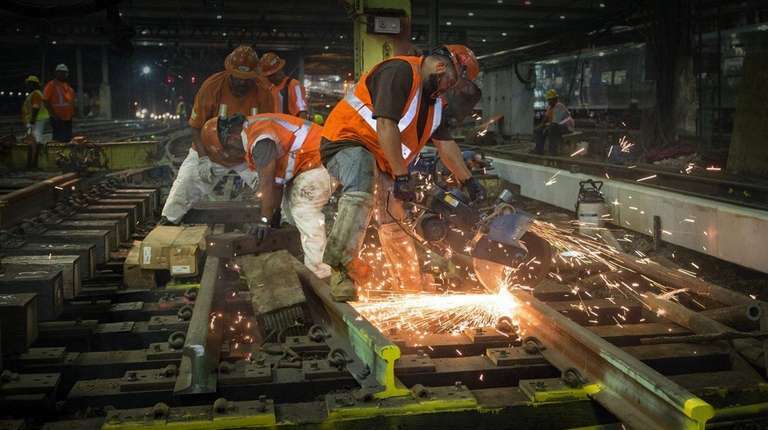 Amtrak has said the work will largely be carried out on weekends and during off-peak hours, but the LIRR said it will impact “less than a handful” of rush hour trains. One hundred years ago on this day, Glen Cove separated from the Town of Oyster Bay and became a city. To mark the occasion, Glen Cove City Council members elected in November 2017 will dress in period clothing as they take the oath of office. The swearing-in will be in the same room in the old courthouse as the one in 1918, with the same dark-wood wall and leather panels. Joseph Percoco, a former aide to Gov. Andrew M. Cuomo, will face trial in Manhattan federal court. Percoco was arrested on charges that he accepted bribes from developers and an energy company while working for Cuomo on the "Buffalo Billion" economic development project. 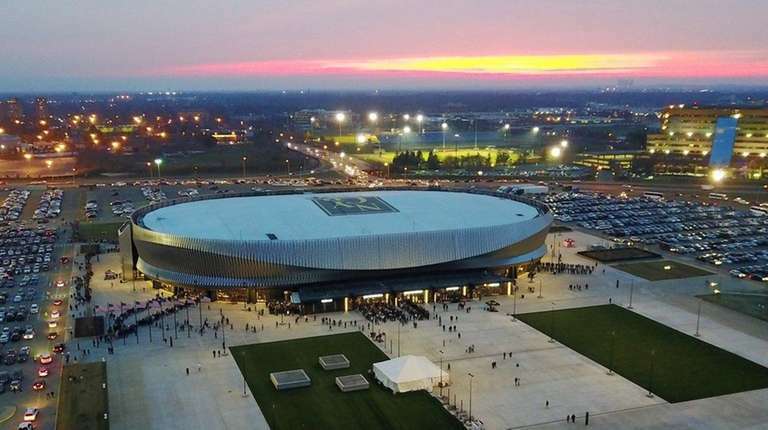 The inaugural New York Open at the renovated Nassau Coliseum is the first ATP tour event on Long Island since 2004, when the tournament commonly known as The Hamlet was played in Commack. Some of the names scheduled to appear in the 28-man main draw include Long Island’s own Noah Rubin from Merrick, America’s top-ranked male player John Isner, Japan’s Kei Nishikori and up-and-comer Hyeon Chung of South Korea. The doubles competition will feature Bob and Mike Bryan, considered one of the greatest men’s doubles pairings in history. U.S. Open winner Sloane Stephens will highlight the opening night festivities with an exhibition match against Canadian Eugenie Bouchard. That match will follow an exhibition between retired tennis legend John McEnroe and fellow New Yorker James Blake. The corruption trial of Nassau County Executive Edward Mangano, his wife, Linda, and former Town of Oyster Bay Supervisor John Venditto is scheduled to begin. The government has said it expects the trial, originally scheduled to start Jan. 16, will last six to eight weeks. Broadway is coming to Babylon this spring as the village’s old movie house reopens as the Argyle Theatre. The $3 million project bringing nearly 500 seats is to open in March and feature programming from Broadway-style shows to folk, jazz, oldies and tribute band concerts, plus comedy and children’s theater. In September, President Donald Trump gave Congress six months to find a solution for so-called Dreamers, or immigrants who were brought to the country illegally as children. If Congress does not come up with a solution, Trump will roll back the Obama-era policy that protected Dreamers in this country -- 42,000 of which are estimated to be in New York, and up to 14,000 on Long Island. Former Assembly Speaker Sheldon Silver is scheduled appear in court again on April 16 for the second of three Albany corruption trials in 2018. Silver was convicted on corruption charges in 2015 but the Second U.S. Circuit Court of Appeals threw out the conviction. The case was sent back to lower courts for a retrial, pending resolution of Silver’s request that the U.S. Supreme Court review and throw out the case. 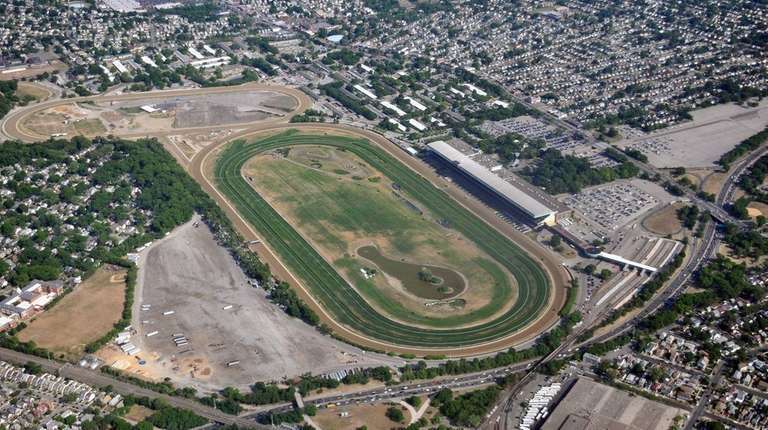 A development team led by the Islanders will invest $1 billion in private funds to transform Belmont Park into a state-of-the-art sports and entertainment destination, including construction of an 18,000-seat arena that will bring the hockey club permanently back to Long Island. The Islanders hope to break ground in the spring with the building expected to open in 2020. The Blue Angels, whose F/A-18 jets top 1,200 mph, will headline the 2018 Bethpage Air Show at Jones Beach on Memorial Day weekend. In the past, the team has drawn the show’s biggest crowds ever since an unexpected opening in their summer schedule allowed them to perform in the first show in 2004, officials said. The beloved Patchogue microbrewery is about to go something close to macro, with a two-story, 54,000-square-foot brewery and tasting room slated to open at 225 West Main St. during the summer of 2018. 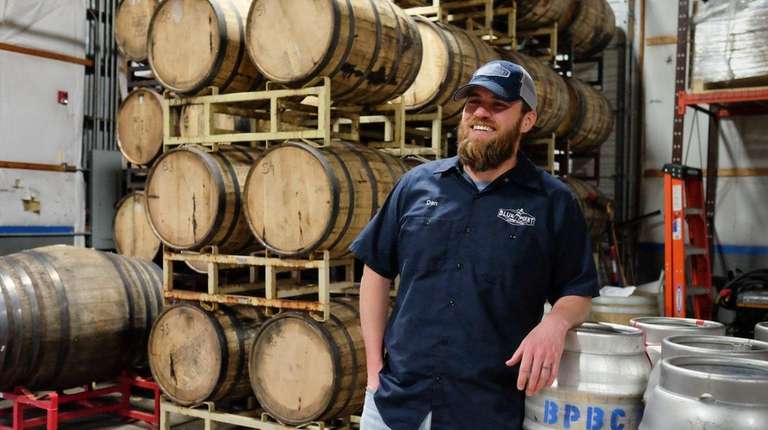 The ground floor will house a brewery, while a second floor brewpub and tasting room will serve up food as well as views of the brewery operations below. In balmy weather, an outdoor beer garden will be the place to kick back with a pint. The pool was closed by the Town of Islip after the summer season of 2012, with town officials citing budget cuts. Officials had vowed to fix up the Olympic-size pool and reopen it by the summer of 2014, but in April 2014, 40,000 tons of contaminated debris was found to have been dumped at the Brentwood park, prompting the park’s closure. The park reopened this August, but the pool has remained closed. Officials broke ground on the rehabilitation project in October 2017. 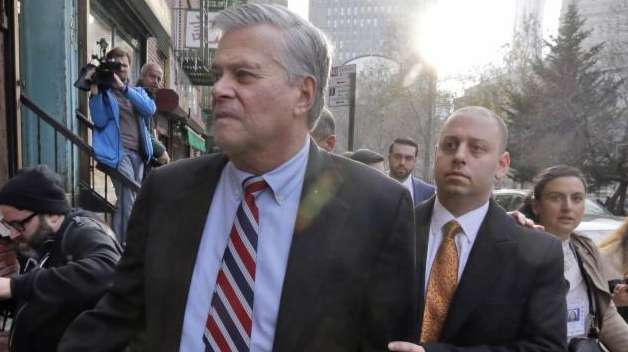 Former Sen. Dean Skelos (R-Rockville Centre) and his son, Adam, are scheduled to face a judge on June 18 for a retrial on corruption charges. In 2015, the pair were convicted in a scheme in which Dean Skelos pressured companies into giving his son no-show jobs and consulting fees. But in October 2017, a Second U.S. Circuit Court of Appeals said while there had been enough evidence, the jury was not given the proper instructions. The decision was reversed and sent back to the lower court for retrial. The foursome from Dublin comes back to Nassau Coliseum for the first time in 26 years June 9. The show will focus on the Rock & Roll Hall of Famer’s critically-acclaimed new album, “Songs of Experience.” U2 hasn’t played the venue since 1992. The U.S. Open will take place at Shinnecock Hills Golf Club in Southampton. This will be the 10th time the U.S. Open has been played on Long Island and the fifth time at Shinnecock. The tournament has not been in Southampton Town since 2004, and officials are considering relaxing rental laws to create more places to stay for the week. The 21st annual Atlantic League All-Star Game will be hosted by the Long Island Ducks. Organizers say the Shinnecock Indian Powwow is one of the largest Native American gatherings on the East Coast. The 2017 edition of the event included 100 American Indian arts, crafts and food vendors from throughout the Americas. It also features dance competitions, entertainment, prayers and ceremonial dances. 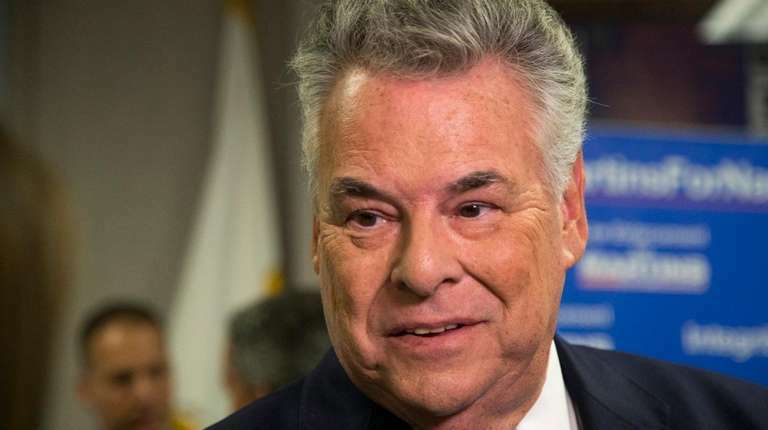 Rep. Peter King (R-Seaford) and Rep. Lee Zeldin (R-Shirley) are up for re-election. Both seats are eyed by Democrats as vulnerable enough to flip. This day marks the 10th anniversary of the death of Marcelo Lucero, an Ecuadorean immigrant who was stabbed in Patchogue shortly before midnight in a hate crime. This day marks the 375th anniversary of the founding of Village of Hempstead. The village was founded in 1643 when Tackapousha, leader of the Marsapeag tribe, gave British settlers the use of 64,000 acres in what is now parts of the towns of Hempstead, North Hempstead and Oyster Bay. 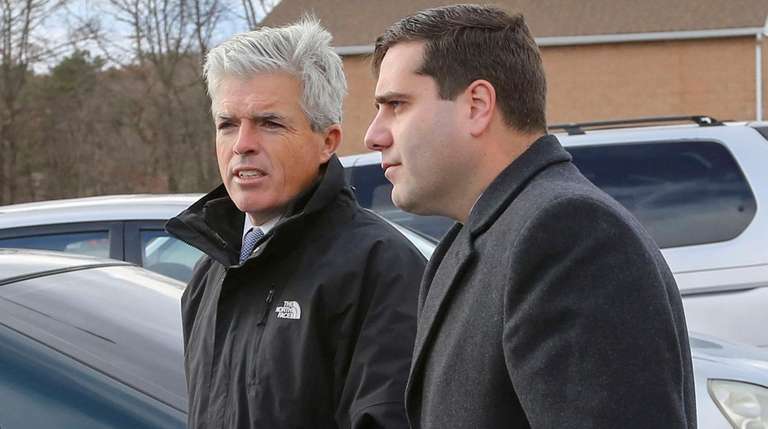 With the election of Suffolk County Police Commissioner Timothy Sini as district attorney, County Executive Steve Bellone is poised to choose Sini's replacement to head the 2,500-member department. Bellone has said he expects to choose a new police commissioner in early 2018. In Nassau County, County Executive-elect Laura Curran has not yet publicly revealed whether she will select a new police commissioner to run the department. Acting Police Commissioner Patrick Ryder was appointed by outgoing County Executive Edward Mangano after former Acting Police Commissioner Thomas Krumpter retired in July. Law-enforcement officials and addiction experts hope 2018 is the year they begin to see gains in their war on Long Island’s opioid epidemic. Authorities in Nassau and Suffolk counties have become increasingly aggressive with dealers who sell drugs that lead to fatal overdoses. In November, James Fava, 29, of Ronkonkoma became the first defendant in New York state to plead guilty to manslaughter for killing someone by selling him drugs. Sini announced in October that his officers will identify suspected drug abusers and turn their names over to the Long Island Council on Alcoholism and Drug Dependence, which will then counsel them to voluntarily enter a treatment program. Gov. Andrew M. Cuomo said in late December the state will spend $150 million to build a well system for treatment of a large groundwater plume in Bethpage and to stop it from traveling farther south. The Bethpage site, which was added to the state Superfund list in 1983, is subject to a number of cleanup plans to remove contaminated soil and treat the complex series of groundwater plumes. Contaminated groundwater first was discovered in the late 1940s and volatile organic chemicals were found in the mid-1970s.